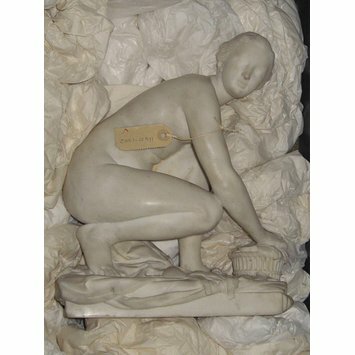 This figure in white marble depicts a crouching nymph gathering sea shells. 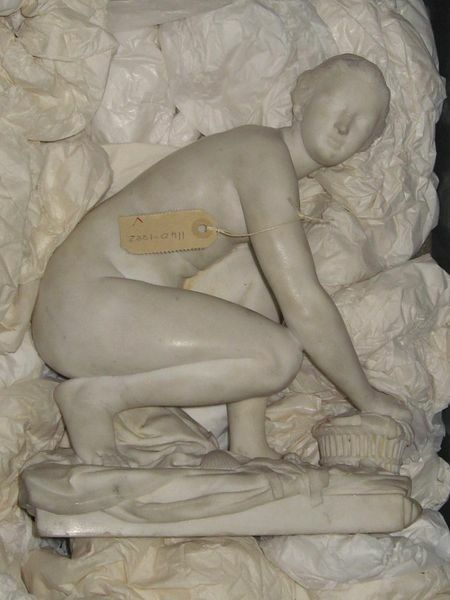 The figure is on a grey marble plinth mounted wih chased ormolu. It is thought to be French and to date from the 18th century. Figure. White marble. A crouching nymph gathering sea shells. On grey marble plinth mounted wih chased ormolu.